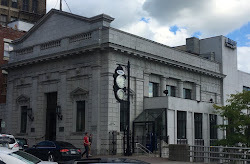 Jeff For Banks: Bank Fees: Are We Out to Get-em?! I focused on Executive Compensation in my last post, and would like to focus on fees here. Fees are an absolute necessity to developing profitable products. 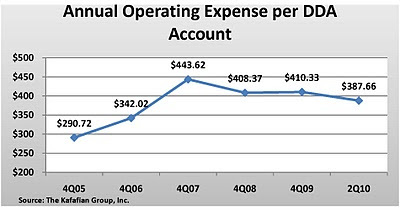 For example, it costs a financial institution (FI) on average $388 per year in operating expenses to originate and maintain a non-interest bearing checking account (see chart). 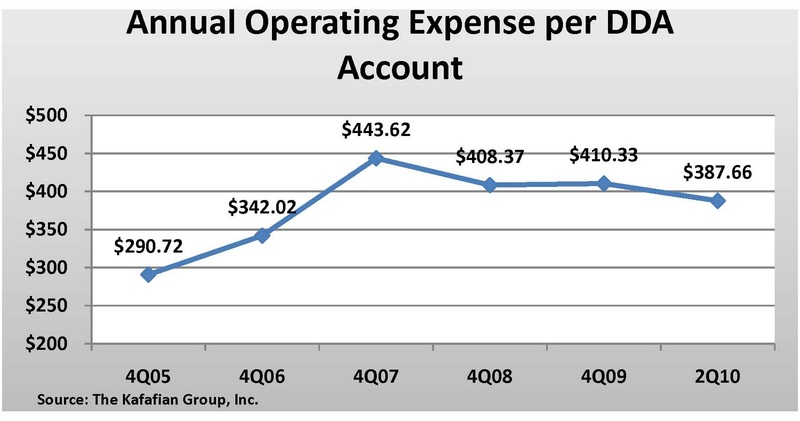 According to my company's profitability database, FIs collect $24 in fee income per checking account per year, on average. That leaves $364 to be made up in the spread. As my banker friends know, re-investment rates are at all time lows. If an FI can re-invest checking balances at a market rate of 2.43%, as was the case in the second quarter of this year, a checking account would have to carry an average balance of $15,000, just to break even! For the non-banker reading this post, if there are any, this may be an epiphany to you. Checking accounts are not inexpensive to maintain. Since re-investment rates that drive the spread are largely out of an FIs control, we turn to fees. This makes perfect sense. But fees are under attack, as the link to a recent Wall Street Journal article indicates. It is part of conventional wisdom that all fees charged by FIs are bad, and forced on the public by insidious bankers. How did this perception come about? Probably as a result of the logic presented above. 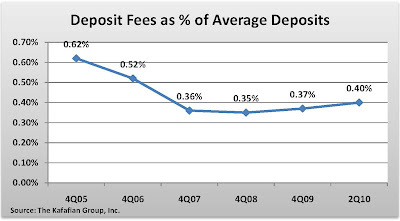 In order to make deposit products profitable, fee income is an important part of the revenue stream. But this drive to increase fees came at the expense of reputation risk. I'm talking about the decisions bankers may have made with little discussion about how the application of this fee or that will be perceived by the FIs customers and the public at large. An example of fee income gone wild is the order of check presentment to maximize overdrafts. You know what I'm talking about... ordering the checks received during a business day so that the large ones are presented first, causing an overdraft, and the subsequent checks are all overdrawn as well. If we presented them in a different order, the FI may have honored most of the checks. This may have sounded like a good idea when the vendor presented it to us, but the accumulation of decisions like this has led the public to draw its conclusions that we are "out to get them". We must consider this possibility in future decision making. Recent legislation and regulation has put pressure on fees. 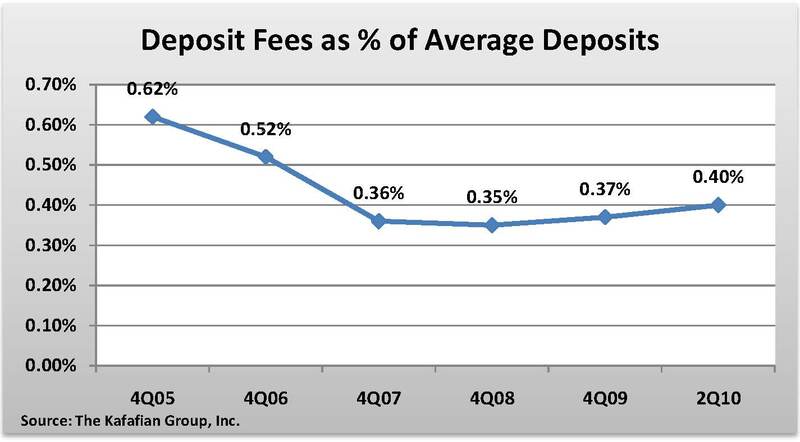 The opt-in requirement that has the potential to reduce overall deposit fees has not resulted in wide-scale deposit fee declines (see chart). But the Durbin Amendment to the Dodd-Frank Act was worrisome, and now that the Fed has proposed reducing interchange fees from an average of $0.44 per debit transaction to $0.12, we will seek new revenue sources and expense reductions to offset the loss. 1. Are we providing value that the customer should be willing to pay us for? 3. Are we delivering the product and service as efficiently as possible? I think if the answer is yes to all three, then customers should be willing to incur changes to their deposit products that allows their FI to profit fairly from their business. If we answer no to any one of the three, then we will be encouraged to try old tricks... charge fees with as little transparency as absolutely required, and run the reputation risk we have so willingly accepted up to this point. I like your article. A business needs to make a living and customers generally understand that. When they grow suspicious they resent any profit and they lose that suspicion very slowly. As you said "...the accumulation of decisions like this has led the public to draw its conclusions that we are "out to get them"." For many, that is the reality of their relationship with their FI and the FI needs to change that perception and reality before good PR will come from the consumer. Thank you Fred for your thoughtful comment. I agree that trust takes time to build but is easy to lose. Although the distrust has been amplified by the media, the seeds were planted in FI meetings where some of these decisions on fees were made.